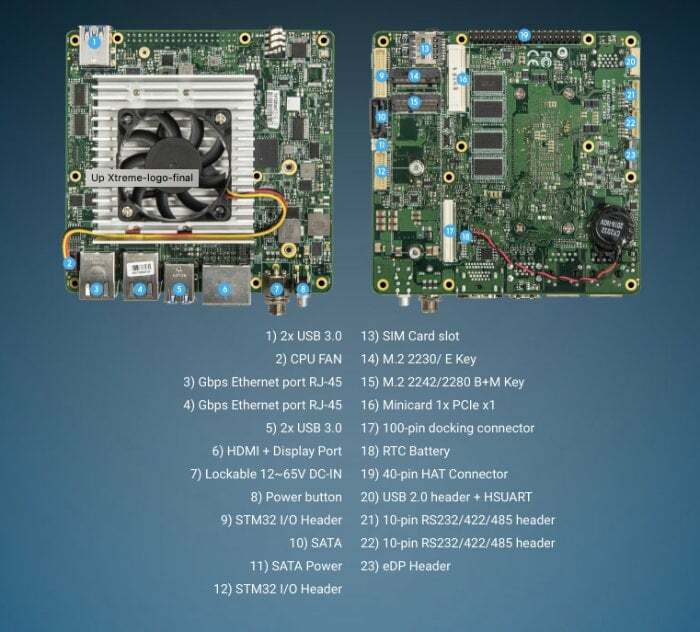 UP has unveiled a new single board computer building on the original mini PC launched by the company back in 2015 which was equipped with an Intel Atom x5-Z8300 Cherry Trail processor and was priced at around $100. The new UP Xtreme SoC is now capable of supporting up to 8th generation Intel Core “Whiskey Lake” processors supported by 16GB of on-board DDR4 Memory and up to 128GB of eMMC storage. The UP Xtreme mini PC is apparently capable of running Microsoft’s latest Windows 10 operating system, Android or Linux depending on your needs. 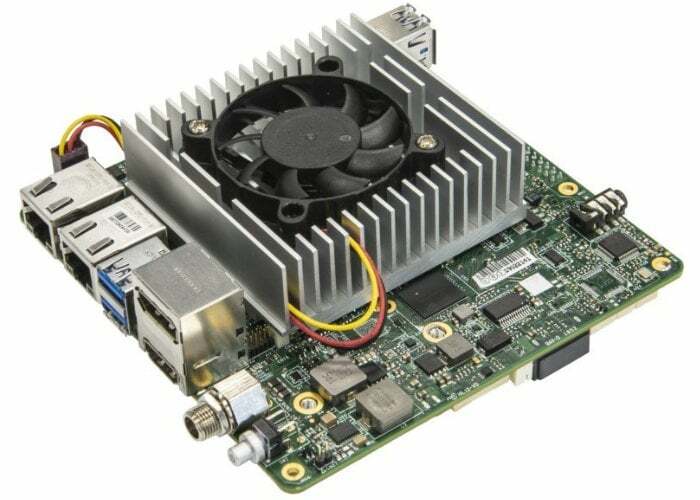 Other features of the mini PC include a SATA connector for a hard drive or SSD, an M.2 2242/2280 slot for a PCIe SSD, an M.2 2230 connector for a wireless card, four USB 3.0 ports, two USB 2.0 ports, HDMI output, a 40-pin expansion header, and a 100-pin docking connector as well as dual RS-232 COM ports. Unfortunately, no information on pricing or worldwide availability has been released as yet by UP, but as soon as information comes to light, we will keep you updated as always. In the meantime jump over to the official UP website by following the link below.